When I turned 16, my dad bought me a car. 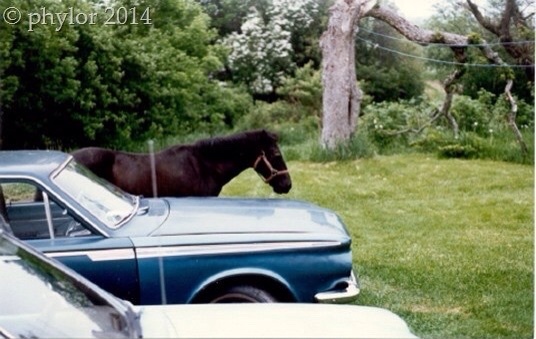 Sure, I liked the car but it didn't hold a candle to Cody, my magnificent stallion. I show Cody in horse shows where he usually brings home the blue ribbon. I spend all my free time with Cody, grooming him and training him. He and I are thick as thieves. My dad asked me to choose between Cody or the car, Cody won, hands down. My dad sold my car. Cody continues to win blue ribbons and I know that someday, he will win me a beautiful new car. Thank you Phylor for our photo prompt this week! 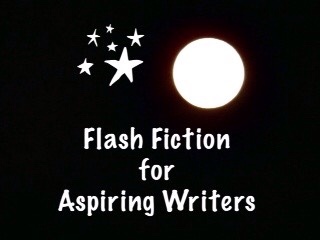 This is my 99 word submission for the flash fiction challenge, Flash Fiction for Aspiring Writers. We are given a photo prompt and approximately 75-175 words with which to create our stories. It's fun and everyone is invited to participate. For more information, click HERE. Thank you Rosey! Awww, the love between an owner and her horse! LOL! Thank you so much, Lynn! I think her horse will win her a nice flashy car! I think she is pretty attached to Cody so I would say she will buy a car. LOL! You speak so fondly about that horse. I want to believe that you love them. That’s good! That’s exactly how I want the story to sound! Thank you so much Joan! I want to tell you that on your story for the last FFfAW challenge, I wanted to leave a comment but it didn’t give me that opportunity on your post. Sweet tale! Cars are so overrated. Yes, that is true! Especially compared to a magnificent stallion! Who needs a car when you have a horse? Cute story! Thank you so much, Angie! Especially, a magnificent stallion! LOL! I love his faith and confidence in his stallion. It wasn’t nice of dad to make him chose. Thank you so much. You’re right, it wasn’t nice of his dad. Hahaha! Yes, Cody won and it was not a contest. LOL! I would’ve chosen Cody too ❤ How could anyone choose a car over that gorgeous stallion? Lovely story Joy….glad you chose wisely….. In this case I agree with you and would love the horse instead! What a beautiful animal! Thank you OM! Horses truly are beautiful animals! Yes, that they are! What little girls don’t want a horse? LOL! He’s going to win! And she will get a brand new car! Love shall prevail! What great priorities your MC has. And how funny the ending is. Excellent, heartwarming take of the prompt, PJ. Aww, I loved this, PJ!! I used to have a horse when I was a kid and loved those rides! I was. Her name was Cookie! When we moved away from rural Oregon back to San Diego, we obviously could not bring her. I found some cheap horseriding lessons and did that for three years. Haven’t ridden in a while! You’re welcome. Sorry it took me so long to get around to reading it. It’s been a busy week! That is perfectly okay! I hope it has been a “good” busy week! Thank you so much, Samantha! She made a good decision! Awww, 99 ms and I can feel the love between the character and Cody… A beautiful story Pj. Thank you Ameena! I appreciate your lovely comment! Thank you so much, Louise! I agree with you! The bond between her and Cody is so touching. Sweet story! Thank you so much, Margarisa!